As a new driver, learning the rules of the road can be overwhelming. MyKey is a great way to control your vehicle’s safety settings. This feature is completely optional, but when used can promote safe and responsible driving. 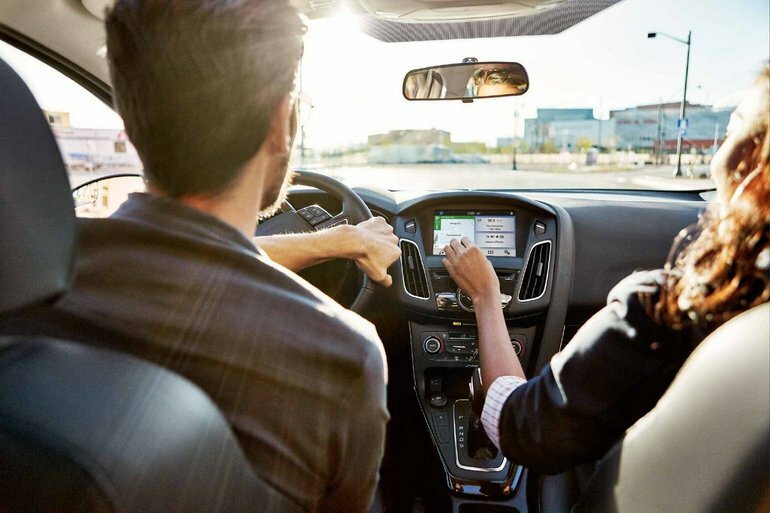 Your Winter Haven area Ford dealership, Bartow Ford, can help you understand how to use this feature. Safe driving starts with promoting good driving habits. MyKey allows you to configure different safety settings, making it ideal for parents encouraging their new drivers to be responsible on the road. With MyKey, you can control certain vehicle features for drivers including speed controls, audio volume controls, and low fuel warnings. There are two parts to MyKey: an admin key and the MyKey itself. An admin key is used to program MyKey settings and clear all MyKey features. Before you program MyKey, choose which key will be the admin key and which will be the MyKey. Then, insert the MyKey into the fob slot. Turn on the car and tab through the message center until you reach the MyKey section, then choose your settings and turn off the car. Your key is now a MyKey! Your admin key will then have to be used to configure any settings on the MyKey or to turn MyKey off. What Settings Can I Configure? There are two parts to MyKey: four non-configurable default settings and four settings that you can adjust. Safety Belt Reminder: The audio system mutes when the front seat passengers’ safety belts are not fastened. Fuel Reminder: The low fuel warning activates earlier, allowing the driver more time to get fuel. Driver Assist Features: Features like parking aids, cross traffic alert, and the Blind Spot Information System will be forced on. Satellite Radio: Adult content is automatically restricted. Speed Limit: MyKey allows a maximum speed limit to be set. When the driver reaches this set speed, the display shows warnings and an audible tone is set off. The driver cannot override the set speed, so make sure to set it to a speed that will allow the driver to follow posted speed limits. Audio: With MyKey, you can set the audio system to a maximum volume of 45%. Always On Features: Enable features such as Advance Trac, 911 Assist, or do not disturb to be always on. MyKey is a great way for you to encourage safe and responsible driving, whether it’s for your new driver or even just yourself. 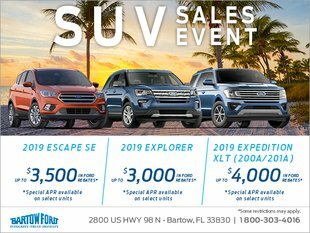 Learn more about MyKey at Bartow Ford, your Winter Haven area Ford dealership. Give us a call at 800-303-4016 or chat with us online.